Della Toffola USA is a product manufacturing leader in the wine industry based out of Santa Rosa, California. Our specialties include crushing, pressing, floatation, filtration, bottling, and packaging. DELLA TOFFOLA USA offers over 50 years of experience in the design and manufacturing of technologically advanced equipment for the winemaking industry. The only thing that can be compared to the quality of our products is the quality of support that you will receive after choosing to partner with Della Toffola USA for your winemaking needs. DELLA TOFFOLA provides Crushing, Filtration, Pressing, Floatation, Bottling and Packaging equipment for wineries of any size from the smallest to the largest. DELLA TOFFOLA has developed a highly innovative crossflow filtration system that – for the first time in the winemaking sector – uses ceramic membranes instead of the usual organic materials. Della Toffola has chosen this type of membrane for its unbeatable features of durability, capacity and hygiene, which would be impossible to achieve with the organic alternatives. DELLA TOFFOLA, a leader in the design and manufacturing of equipment for the wine and beverage industry for North American and across the world, has developed an exciting new technology that reduces the maceration time of grapes up to 50 percent, while also enhancing the extraction of polyphenols and anthocyanins. 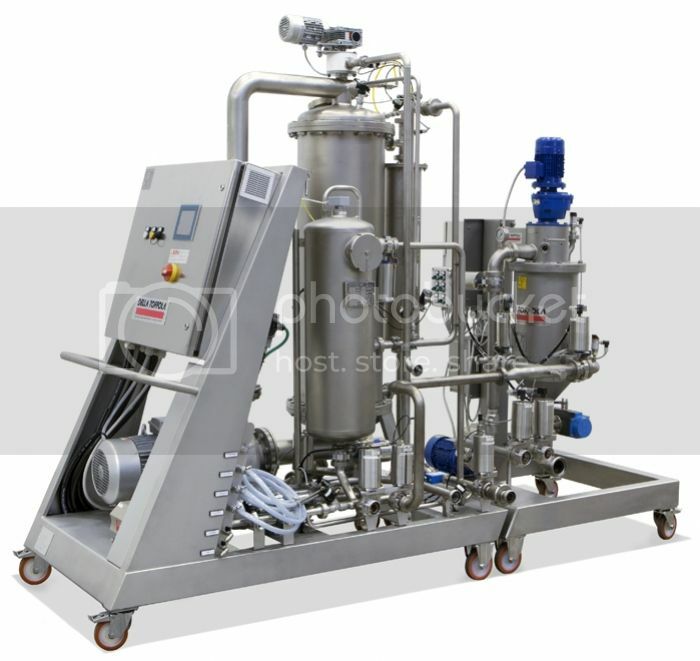 The DELLA TOFFOLA Maceration Accelerator (DTMA), works by reducing the dimensions of the crushed grape skins, thereby increasing the surface area of the film in contact with the must. The cutting-edge DTMA process speeds up maceration, which then activates the pressing stage and greatly improves the extraction of polyphenols and anthocyanins from the grapes, strengthening the overall sensory characteristics in the wine. The DTMA receives grapes from the destemmer; processes them and the resulting juice and must are transferred directly into tanks. Flow rates during the DTMA process are aligned precisely with the speed of the client’s pump in order to maximize proficiency. Kosmicki, who reports that the DTMA has been successfully tested in Italy, France and Australia on different grape varieties in a number of wineries, emphasizes that one of the best parts of this new, highly effective DTMA technology is ease of use. DELLA TOFFOLA USA, is the American arm of DELLA TOFFOLA GROUP, which has been providing equipment to the wine industry for over 60 years. They provide everything you need to get the wine from grape to bottle including Presses, Pumps, Filters, De-stemmers, Crushers, Conveyors and more. They also deliver top name brands, ZITALIA, AVE Technologies, OMB, and Priamo for any CIP/Pasteurization and Bottling/Packaging needs. DELLA TOFFOLA is the manufacturer and distributor of the Award Winning Ceramic Membrane Crossflow Filters, which utilizes the strength and consistency of ceramic membranes, to enable the filtration of a wide range of products. They also offer a variety of other innovative equipment including their Bio-thermo Cooler (BTC) Vinification System, which utilizes flash technology, heating the must of crushed grapes to a set temperature, then sending it to a high vacuum chamber where rapid cooling causes some of the liquid to “flash” into steam. The process breaks open the skin cell walls, allowing immediate color and tannin extraction, while also releasing aromatic compounds. For more information on these state-of-the-art winemaking technologies, visit dellatoffola.us or stop by their BOOTH #1017 at the Unified Symposium in Sacramento, January 29th thru 31st, 2019 and talk with their representatives. Selection of Harvest Equipment in Stock! August 17th, 2018: DELLA TOFFOLA would like to wish all their customers a successful Harvest 2018. Our technicians and parts department are all primed and ready to provide support and service to all our customers and we have a small selection of Equipment in stock if anyone finds themselves in need! DELLA TOFFOLA relocated to a much larger facility in Santa Rosa in 2016 to facilitate higher stock levels for parts and equipment so that they could better serve their customers and deliver for shorter timelines and immediate needs. We now have a small selection of Equipment in stock and ready for pick-up or delivery today! Della Toffola’s NDC Crusher/Destemmers guarantee a perfect, delicate separation of the grapes from the stems, retaining the quality of the crushed grapes in every situation. They are designed to be extremely user-friendly and easy to clean. Our PNEUMATIC PRESS features an innovative design with central membrane technology for increased throughput and capacity. Their drums are made from stainless steel and perforated throughout to ensure the must can flow out freely. A selection of Crossflow Filters: Our award winning CFKN Crossflow Filter continues to lead the way in innovative Crossflow Filtration Systems with its use of durable ceramic membranes and automatic production cycles with low environmental impact. The CFKN also permits the processing of products containing filtration aids, such as bentonite. In addition, you will find the following Equipment IN STOCK now!... Ready for pickup or delivery Today! Liverani Pump - 2" and 3"
DELLA TOFFOLA is a familiar and well-respected supplier within the wine and beverage industry world-wide. In business since the 1960s, DELLA TOFFOLA designs and manufactures high-quality equipment for wine processing, filtration and packaging and has grown from it’s modest Italian roots to eight manufacturing plants and branch offices across six continents, including DELLA TOFFOLA USA, based in California. DELLA TOFFOLA has been responsible for introducing several innovations over the years including the first vertical stainless steel press, the central membrane press, their widely popular ceramic membrane filtration system and now the Biothermo Cooler Vinification System, their version of a Thermoflash. Although the original technology has been around Europe for a decade or two, the process, offered by DELLA TOFFOLA, is finally taking hold in the U.S. Thermoflash, known widely in Europe as “flash détente”, is a process of thermovinification created during the 1990’s in France. It works by heating the must of crushed grapes to a set temperature (usually around 185°F/85°C) then sending the hot grapes to a high vacuum chamber where temperature drops quickly causeing some of the liquid in the must to “flash” into steam. The rapid expansion of steam causes the cell walls of the vacuoles in the skins to break open allowing immediate color and tannin extraction while also releasing aromatic compounds. The evaporated water is then put through a condenser and remains as a separate byproduct or gets added back to the must later for fermentation. The process of flash extraction allows wineries many different processing options and can be used in conjunction with traditional winemaking methods. Initially, European winemakers used it save time by immediately pressing the flashed fruit, thereby allowing red grapes to be fermented like whites. It was also used for under-ripe grapes or to remove the mold characteristics during a tough harvest. This so called “liquid phase” method of using Flash is less common in California as many winemakers prefer to ferment on the skins, if only for a day or two. This leads to more traditional flavor and greater color stability. Della Toffola is the main manufacturer of the equipment that performs ThermoFlash. Their Biothermo Cooler Thermovinification System is a top of the line piece of equipment. There are about 50 units worldwide with most of them being in Europe, but this technology is starting to take hold in the new world. North America has around a dozen units across California, Virginia, Texas and Michigan with Californian winemakers pushing the boundaries on what they can do with this technology. Smoke taint is obviously an important concern considering the wildfires in California. Winemakers have also removed other unwanted air borne aromas from grapes (e.g. diesel exhaust, eucalyptus). One winemaker coined this ‘airoir’. The removal of unfavorable aromatics works great in the new world where regulations allow for the removal of the water byproduct which contains all the unwanted aromatics that are absorbed in the skins of the grapes. DELLA TOFFOLA will be in attendance at the UNIFIED Wine & Grape Symposium (BOOTH #1028), January 24th and 25th in Sacramento. Come along and find out how DELLA TOFFOLA equipment can meet the needs of your winery today. For more information on Thermoflash, Rick Jones will present “The Evolution and Quality Impact of Flash Détente for Eastern Winemakers” at U.S. Wine & Beverage Industry Expo (USBevX) on Wednesday, February 21st in Washington D.C.
A common perception is that ‘Flash-Detente’, or Bio-Thermocooler Vinification – is a new method of extracting flavor and color from grapes. The truth is flash units have been widely used in Europe, South America and Australia for many years although the technology is relatively new in the U.S.
DELLA TOFFOLA has actually been offering Thermovinification technology for the last two decades, with over 50 installations in operation in wineries across the world, including seven in the United States. this procedure also enables the user, should they desire, to increase the use of fermenters, reducing considerably maceration times. With a commitment to ongoing innovation and R&D, DELLA TOFFOLA recently released their second generation ‘ThermoCooler’ equipment, the multi-purpose ‘Biothermo-Cooler’. Della Toffola’s Biothermo Cooler is a complete system that combines the classical thermovinification treatment of the first generation Bio-Cooler with the opportunity to instantaneously ‘flash’ the heated crushed grapes within a vacuum chamber. This induces a rupture of the cell membranes that consequently tend to release far more anthocyanins and tannins. The BioThermo Cooler system is capable of regulating the temperature from +95 to -1°C while maintaining the utmost respect for the grapes and keeping operating costs down with a single Biothermo-Chiller unit that suffices for both thermo vinification, Flash and must freezing purposes. It can be extremely beneficial for color extraction and flavor enhancement, especially for grapes set back by recent rains. The BioThermo Cooler is available in models with capacities from 1.5 to 38 tons/hour, and is easy to integrate and adapt to existing wineries and systems. DELLA TOFFOLA will host an OPEN HOUSE at their new office and warehouse location, 975 Corporate Center Parkway, Suite 130, in Santa Rosa, CA this coming Thursday, March 9th from 11am to 4pm. Everyone is invited to come along and enjoy some great food, wine and entertainment while taking the opportunity to learn more about our award-winning winery equipment. Meet DELLA TOFFOLA CEO, Mariangela Guarienti, as well as our great team of local Technical and Sales associates and discover what we can do to help you to meet your winery equipment needs. We will showcase a variety of their equipment with Ceramic Membrane Crossflow Filtration & Zitalia Labeling Equipment Functionality Demonstrations throughout the day. From Crushing to Pressing, Floatation to Filtration, Bottling to Packaging, we have a wide variety of options and models available to fit the needs of wineries of any size for any stage in the winemaking process. Take this unique opportunity to see DELLA TOFFOLA equipment and their customer care approach up close and personal. If you have any questions, please feel free to contact them at dtgroup@dellatoffola.us or by phone +1 707.544.5300. Vineyard and Winery Management Article Coming Soon! Do you have questions about dealing with smoke taint? Keep an eye out for the September issue of Vineyard and Winery Management where Della Toffola's Biothermo Cooler will be discussed! Our ceramic membrane cross-flow filters provide superior durability, thus are able to deliver longer filtration runs at more consistent flow rates. Filtration is also fully automated, with continuous operations. Ceramic membraes are able to withstand pressure shocks that would rupture other types of membranes, and their superior resistance to high temperatures means less time is needed for cleaning! For more information on our cross-flow filters please reach out to a member of our sales staff at (707) 544-5300. Della Toffola USA is Expanding! Della Toffola USA is in the expansion process! We moved to Santa Rosa, CA where we have more than quadrupled in size. We look forward to being able to continue offering our great products, paired with our exceptional customer service and support from our new location! DELLA TOFFOLA, the Italian-based producer of beverage equipment and technologies for more than 55 years, has established itself as a leader in the U.S. wine, brewing, and international beverage markets. Founded in the 1960’s by Giacomo Della Toffola, the company began by developing some of the first horizontal stainless steel presses and crushers in northern Italy. By continuing to embrace and develop new technologies, DELLA TOFFOLA has evolved into a highly successful group that now owns ten world-wide brands, specializing in a wide range of beverage industry needs including filtration, tanks and fermenters, pasteurization, pumps, destemmers and packaging equipment. In North America, the Windsor-based DELLA TOFFOLA USA, which began in 2009, has experienced exponential growth over the last six years; a trend that is expected to continue. DELLA TOFFOLA owes much of its wine industry success to the development of a unique, central membrane press. The membrane operates on a shaft located down the center of the press, which extracts juice from the grapes through 360-degree channels. The process is more efficient, uses less pressure, is gentler on the fruit and results in a higher juice quality overall. The press comes in several models, from 12hl to 700hl. The company is also well known for its cross-flow filtration system that utilizes a ceramic membrane to filter wine prior to bottling. Ceramic is a superior, robust material that does not hold colors or flavoring compounds and can be easily cleaned with hot water or chemicals, if desired. DELLA TOFFOLA’s popular OMNIA high solids cross-flow filter, which was launched in the U.S. last year, uses the same ceramic membrane technology for lees. It has been proven to return clean juice and wine with much higher quality and more safely than DE filtration. “We have a great product line that can address the equipment needs of small to medium wineries, as well as the large scale wineries for whom we custom build,” notes Damon Dudley, Project Manager for DELLA TOFFOLA USA. 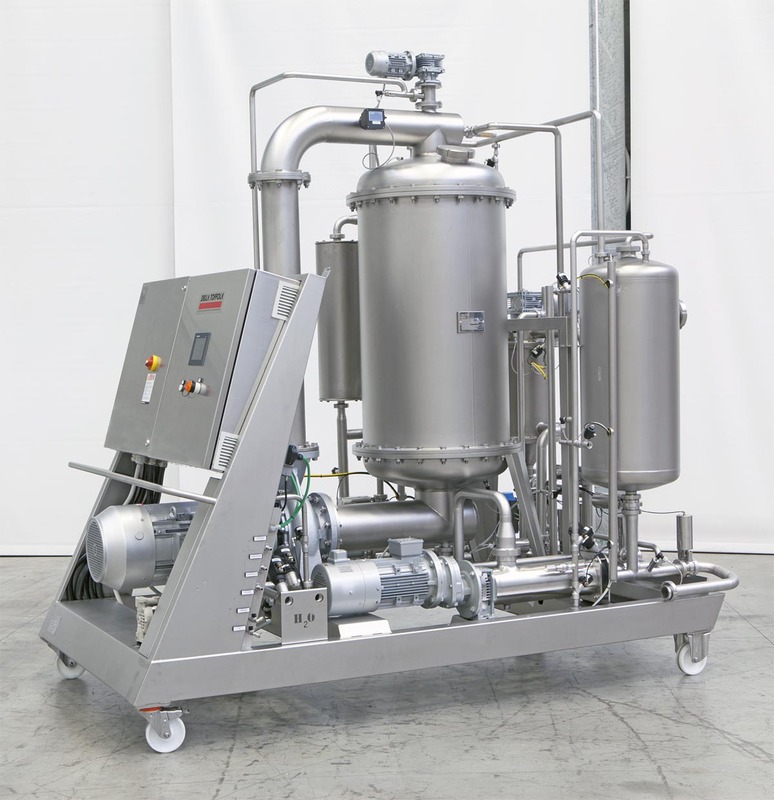 Innovative Filtration System Maximizes Juice Recovery to more than 90% DELLA TOFFOLA’s high-solids, cross-flow filter system with ceramic membranes – known as OMNIA – is making big waves throughout the U.S. wine industry – and for good reason. The OMNIA series provide an exceptional juice recovery rate from lees with final concentrations of more than 90 percent. The filters not only separate wine from wine lees, but also provide clean juice from floated solids and extract quality juice from cold, settled juice lees. According to Giacomo Della Toffola, grandson of the company’s founding father and Production Supervisor of Research & Development, the system provides a superior technology with unparalleled longevity. Della Toffola points out that one of the many benefits of the OMNIA is the system’s ability to extract clean, high quality product from material other filters leave behind. Della Toffola is also the manufacturer of a biothermal cooler system (BTC) that utilizes Thermoflash technology to remove microbes from grapes by neutralizing bacteria. The system works by rapidly heating must and then cooling it instantaneously in a vacuum chamber. It can be extremely beneficial for color extraction and flavor enhancement, especially for grapes set back by recent rains. The Della Toffola legacy dates back to the 1960’s in Italy, when the family began designing and manufacturing winemaking equipment. Today, with more than 50 years of experience, the company operates eight manufacturing plants with eight different brand offices throughout the world, including the U.S., France, Chile, Argentina, Spain, Australia, Brazil and Mexico. Della Toffola USA was established in 2009. With offices located in Windsor, CA, the company prides itself on its manufacturing and technical expertise, serving wineries of all sizes. Giacomo says the first OMNIA landed in the U.S. about a month ago. He and his team are currently in Texas, where the 2014 harvest started several weeks ago, offering full technical support to those eager to learn how to use the new system, which is now available for trials and for sale. Early in 2014, DELLA TOFFOLA France completed the installation - with support from DELLA TOFFOLA technicians - of a complete cross-flow filtering system with ceramic membranes, an integrated heat exchanger and CIP for MOËT & CHANDON at Mont Aigu in Champagne. DELLA TOFFOLA Group is extremely proud of this filtering system, which was custom-made for MOËT & CHANDON. It was constructed and pre-assembled at the factory and then installed in the production line in Mont Aigu. Cross-flow filtering takes place at a rate of 20,00 liters per hour on still wines at a temperature of minus 4°C. The ceramic filtering surface in this system covers a total area of around 500 m². A two-stage heat exchanger enables the cold filtered wine to be exploited to cool the wine remaining to be filtered, achieving a coefficient of performance of around 85%. The whole system is part of a design philosophy that seeks to be very environment-friendly and energy saving. From this standpoint, the CIP cleaning system relies on cold water, hot water, caustic soda and citric acid, and is regulated automatically to optimize water consumption, which amounts to just 0.2% of the filtered volume. The whole plant is managed by PLCs connected to the MOËT & CHANDON computer system to comply with the precise company procedures, which focus on filtering quality, environmental compatibility and traceability. This is currently the system with the greatest technological content to have been installed in France by DELLA TOFFOLA Group. Della Toffola Group presented its new CFKF Series ceramic membrane crossflow filters at the 2013 SIMEI Show. Already widely adopted during traditional filtration thanks to their strength, durability, reliability, and sanitization capacity, ceramic membranes are now being applied more and more in lees separating filters as well. The need to filter these products and recover as much product as possible has been assuming greater and greater importance, especially when the product processed vaunts high value. These new filter models are the only ones capable of achieving a final concentration of more than 90%. The use of ceramic membranes overcomes practically every difficulty that arises during lees filtration while constantly ensuring unequalled product recovery. Call 707-544-5300 to learn more. The new VinLink plant at the Riverlands Industrial Estate, to the south of Blenheim in New Zealand, will be operational in time for the 2013 grape harvest. VinLink is thus confirmed as one of the greatest winemaking businesses in and around Marlborough, one of New Zealand’s main winemaking areas. Della Toffola has supplied the whole grape crushing and pressing system comprising six collection tanks, three NDC 100 crushers, 3 PEC 200 and 3 PEC 240 presses, as well as a complete refrigeration system for the wine’s thermocooling treatment. This is a very large-scale plant with an initial production capacity of 100 tons of grapes per hour, designed to cope with the whole of the predicted grape harvest in 2013, which is estimated at 13,000 tons. This is a great result for Della Toffola: the company has worked alongside VinLink at every stage of design and construction, also with a view to a subsequent expansion of the plant (already planned) that will increase its production capacity to 3,000 tons a day. To learn how Della Toffola can greatly increase your production (all while cutting costs) call us at 707-544-5300 for a free, and no obligation consultation. Della Toffola USA has sold and is installing the first Thermo Flash units in the north coast of California. A 20 ton per hour unit at Carneros Vintners in Sonoma and the second unit purchased by Flash Wine Technologies. This 10 ton per hour unit will be installed at Kunde Family Estates in Kenwood. WINDSOR — A major Italian manufacturer of winemaking equipment plans to build a North American distribution and light production facility in this Sonoma County town. Della Toffola S.p.A., which has facilities in Italy, France, Spain, Chile and Argentina, purchased about two acres of freeway frontage land at 100 American Way in a Windsor industrial park on April 29 for $826,000. The project will require town of Windsor approval, but the goal is to start construction this fall on a 20,000- to 25,000-square-foot light-industrial building with room for a sales office and inventory warehouse with room for building tanks and assembling equipment. “The business is growing so fast, the owners decided to build a facility here,” said Maria Angela Guarienti, chief executive officer of Della Toffola USA Ltd. Sales for the first four months of this year are four times what they were in the same period last year, and the prospects for this year appear to be on track to surpass those just before the economic recession started in late 2007, she said. That’s a lot better sales environment than when the North American sales office opened in May 2009. Della Toffola has been in business for four decades and selling equipment in the U.S. for 20 years through agents and distributors. To have more control over representation in its markets, the company in 2009 sent Ms. Guarienti to establish a North American sales branch in Sonoma County, currently in leased space in a nearby Windsor industrial area. As fine wine sales plummeted in the first half of 2009, capital spending on winery equipment was squeezed. Without the agent’s sales leads, she was dependent upon incoming service or spare parts requests for the large installed base of Della Toffola equipment. In 2010 she started receiving purchase inquiries for systems. The various Della Toffola companies produce a range of products for winemaking, food and beverage processing, water and process wastewater treatment, and filtration and treatment equipment chemical and pharmaceutical production. The companies employ about 300 people and have annual sales turnover of about 50 million euro, roughly equal to $71 million today. U.S. sales are going to established wine regions such as California as well as up-and-coming regions of other states and Canada. The company’s tanks, fillers, screwcappers, labelers, filters, valves and piping systems serve not only the wine industry but also beverage makers and producers of any other thicker fluid products such as ketchup and mayonnaise. For the wine industry, eight of 10 systems sold tend to have some custom aspects, ranging from size restrictions to operational enhancements to new production concepts. That leaves open the potential for some assembly of equipment in Windsor, saving time and money in shipping and employment. Yet European labor laws limit production staffing fluctuations, so the company has to keep those on staff in European plants as productive as possible, according to Ms. Guarienti. Della Toffola picked that Windsor site — and decided to build rather that opt for a number of available industrial spaces of the desired size — to gain visibility from Highway 101, according to Ken Lafranchi, whose Lafranchi Architecture and Development is designing the facility. The street, sidewalks and utilities were extended to that property and surrounding ones several years ago to limit the time needed for construction. The Della Taffola project will need town of Windsor design review, Planning Commission and Town Council approval. A formal proposal is expected to be submitted shortly. Representing Della Toffola USA in Windsor land purchase was Bob Green of Coldwell Banker. Connie Bradley and Ron Reinking of Cornish & Carey Newmark Knight Frank negotiated the deal for seller DG&H Developers, LLC, led by homebuilder Doyle Heaton. For more information about Della Toffola USA, call 707-544-5300 or visit www.dellatoffola.com. Della Toffola USA had a very enjoyable time at the Texas Wine & Grape Growers Trade Show in the beginning of March. The people of San Marcos are wonderful. Damon and our Technician Specialist, Leonardo Rodriguez also had several very successful Cross Flow trials at various Texas wineries. 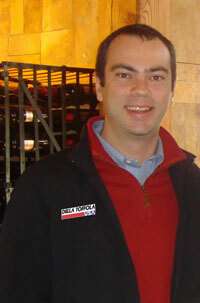 Damon Dudley joined Della Toffola USA on March 1, 2011. He comes to us from Wine Secrets, where he was the Operation Manager and Wine maker for the last three years. He has over 10 years wine making experience in the Industry. Damon is our Equipment Salesperson for Northern California and Oregon. Carneros Vintners announced the availability of an artisan-scale version of Della Toffola’s Thermoflash system at their facility in Sonoma, CA Thermoflash technology was developed to improve extraction of color and to reduce unripe flavor characteristics prior to the fermentation of red wines. Treatment by thermoflash may prove beneficial for grapes whose maturity has been set back by recent rains, as it may boost the brix of treated must. Thermoflash streamlines red maceration by rapidly heating must and then cooling it instantaneously in a vacuum chamber. The treatment results in the rupturing of cell walls initiating an efficient breakdown of the structure of the berry. The mobile Thermoflash unit is capable of processing up to 1.5 tons per hour of must. It will be sited at the Carneros Vintners facility during the remainder of this harvest season. Della Toffola’s full-sized system, newly installed at Lodi Vintners, is designed to treat 35 tons of must per hour. “A whole new dimension of winemaking” says veteran winemaker Barry Gnekow. “Flash technology may redefine our view of terroir. It may reveal that ’air-oir’ eclipses ‘terroir’ for flavor expression”. “Thermoflash has key advantages over standard maceration,” said Maria Angela Guarienti CEO of Della Toffola, USA. “The system maximizes phenolic extraction while flashing off the pyrazines and denaturing damaging enzymes such as polyphenol oxidase and laccase. Thermoflash reduces skin contact time, improving efficiency during harvest,” added Guarienti. The mobile system at Carneros Vintners is being operated by Winesecrets, who recently operated the unit in Eastern Canada. “Thermoflash appears to be an exciting tool for improving wine quality,” said Eric Dahlberg, Winesecrets Founder and President. “We have it on wheels”. The Della Toffola Group (Della Toffola S.p.A.) is based in Treviso, Italy with subsidiaries in France, Spain, Australia, Chile, Argentina and Windsor, CA. 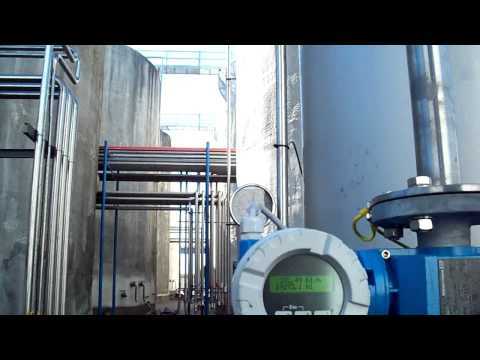 The company has been supplying process equipment to the wine industry for over 40 years. Carneros Vintners, opened in 2009, is part of the Vintners Group, which also operates Lodi Vintners near Woodbridge, CA. To schedule grapes for processing with the artisan-scale Thermoflash, please call Caneros Vintners winemaker Dave Dobson at 707-933-9349. To schedule full production-sized lots at Lodi Vintners, please call Tyson Rippey at 209-368-5338. To learn more about Thermoflash or how this technology can streamline harvest operations, please contact Rick Jones at 1 707 319 1376, or via email at rick@winesecrets.com. Visit Winesecrets on the web at www.winesecrets.com. Della Toffola USA, distributor of technologically advanced winemaking equipment, is pleased to announce the recent appointment of Emanuele Fiorentini as Sales Area Manager for the California Central and Southern Coast wine growing regions. He was most recently the Technical Sales Area Manager for Prospero Equipment Co. in Napa and Sonoma where he delivered excellent service both in the design and amelioration of new wineries’ grape processing and bottling installations, building long lasting relationships with most of the highly acclaimed wineries. Emanuele resides in Templeton with his wife Jordan, winemaker for Epoch Estate Wines. it has made a major qualitative leap forward. achieved with a total workforce of more than 400 employees.